The Indian Hockey -Field hockey in India refers to two teams, the India men's national field hockey team and the India women's national field hockey team. The Indian Hockey Team is the national men's hockey team of India. It was the first non-European team to be a part of the International Hockey Federation. In 1928, the team won its first Olympic gold medal. From 1928 to 1956, the Indian men's team remained unbeaten in the Olympics, gaining six gold medals in a row. The Indian team has won a total of eight gold, one silver and two bronze medals in Olympics. On 9 March 2008, India lost 2–0 to Britain at Santiago, Chile in the final of one of the three qualifying tournaments for the Beijing Olympics. With only the winner advancing to the 12-team event, the Indian men's team was eliminated from the Beijing Olympics competition. This is the first time that the Indian men's team did not participate in the Olympics since 1928. India finished in 12th place (Last) in the 2012 London Olympics. On 26 Feb 2012, the India men's national field hockey team qualified for the 2012 Summer Olympics in London after a gap of 8 years. The team had a resounding victory over France in the finals of the Olympic qualifiers by beating France by 8–1. Ace drag-flicker Sandeep Singh, starred in the final against France by scoring five goals – including a hat-trick – all from penalty corners (19th, 26th, 38th, 49th and 51st). Indian Men's Team Finished in 9th place in World Cup 2014 held in Hague, Netherlands. Indian team won Silver Medal at the Commonwealth Games 2014, Glasgow. They lost to Australia 4-0 in the Finals. India will host the 2018 World Cup. India won 2014 Asian Games Gold Medal after 16 years ( last won in 1998). 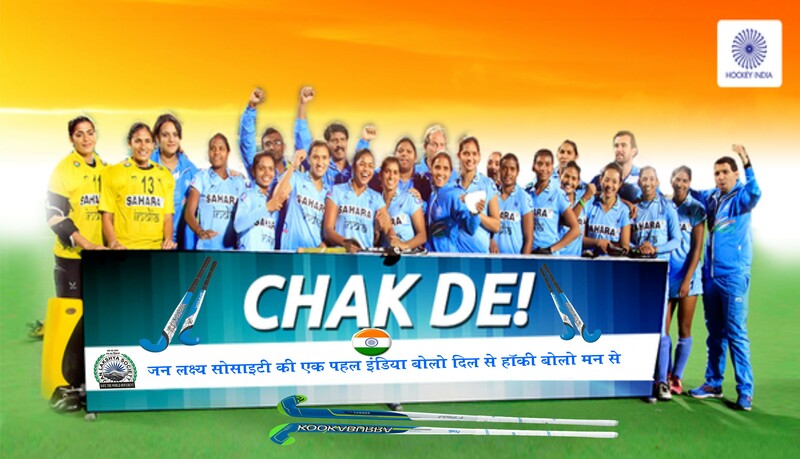 The Indian Women's Hockey Team is the national women's team representing hockey in India. (nicknamed the Golden Girls of Hockey) is the national women's team that represents India in international field hockey competitions. The team is currently coached by Canada's Mathias Ahrens and led by halfback Ritu Rani from Haryana and is currently ranked 13th in the FIH World Rankings. Captain Suraj Lata Devi led the team to the Gold for three consecutive years: during the 2002 Commonwealth Games (the event which inspired the 2007 Shah Rukh Khan film, Chak De India), the 2003 Afro-Asian Games, and the 2004 Hockey Asia Cup. They were referred to as the "Jassi (Jasjeet) jaisi koi nahi" or "Golden girls of hockey," after winning the 2004 Hockey Asia Cup. During the summer of 2015, the team hosted the Round 2 of the 2014–15 Women's FIH Hockey World League and finished on top to qualify for the next stage. At the World League Semifinals held in Antwerp the team finished in the fifth place beating higher ranked Japan in classification match. The Indian woman's national field hockey team has thus qualified for the 2016 Summer Olympics for the first time since the 1980 Summer Olympics. The 2018 Men's Hockey World Cup will be the 14th edition of the Hockey World Cup field hockey tournament. It is scheduled to be held from November 24 to December 16, 2018, at the Kalinga Stadium in Bhubaneswar, India. A major awareness campaign for the National Sports hockey in the country of the Jan Lakshya Society . 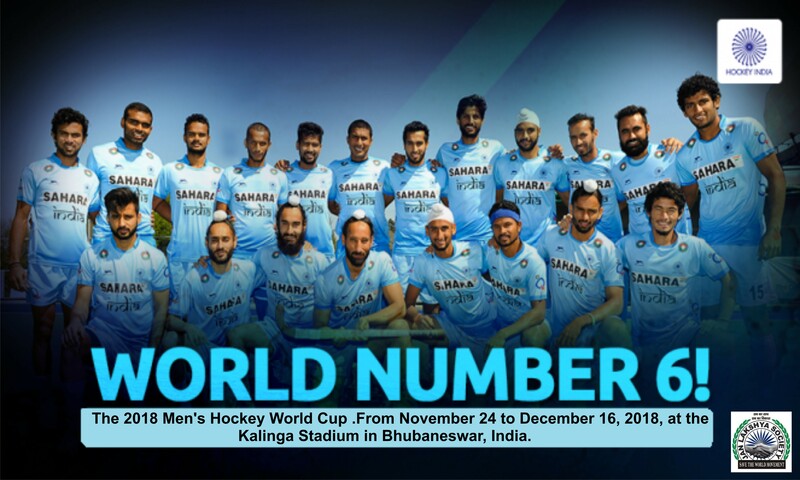 Men's Hockey World Cup-2018 will be held in Bhubaneswar. World Cup-2018 will be held between 28 November and 16 December 2018. In which 15 teams including India will compete. These matches will be organized at the Kalinga Stadium of Bhubaneswar. The winners of the Hockey World Cup in the World Cup will be decided at the same stadium. To promote this event and to make it a great place, should help every citizen of India. As we give in cricket, because these games are the national game of our country. The Jan Lakshya Society will always be ready to make people aware in this campaign. As a target society, as a part of awareness, the signature campaign in the country is being run by the projector and contributing everywhere by playing audio-video. Join us, we hope that every Indian will support it and watch . Volunteers of the Jan Lakshya Society are engaged in spreading the game in many parts of the country and are continuously programmed.